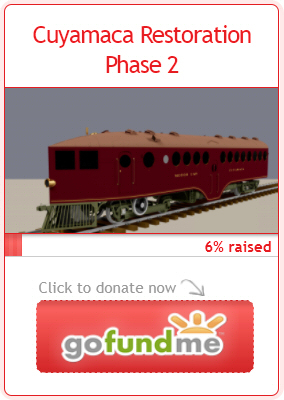 Los Angeles & San Diego Beach Railway | The McKeen Motor Car Website Los Angeles & San Diego Beach Railway | The Compendium of Knowledge on the McKeen Motor Car Company, and their experiments. 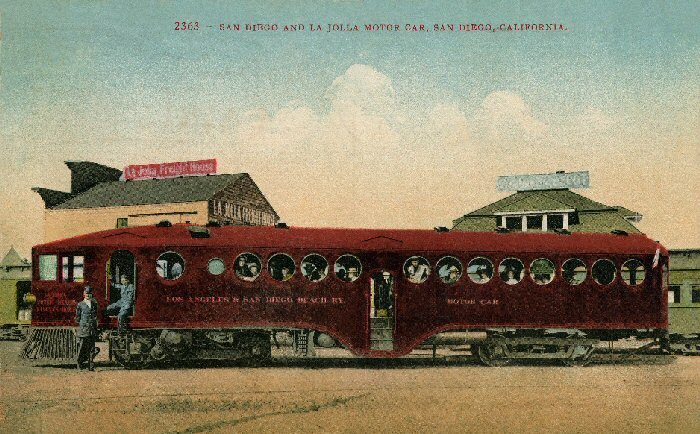 McKeen Motor Car on the Los Angeles San Diego and Beach Railway next to the Hotel El Cabrillo. McKeen Car at the Hotel Cabrillo in La Jolla. This is not the same image as the one above it, as the “Hotel Cabrillo” sign is in a different spot. 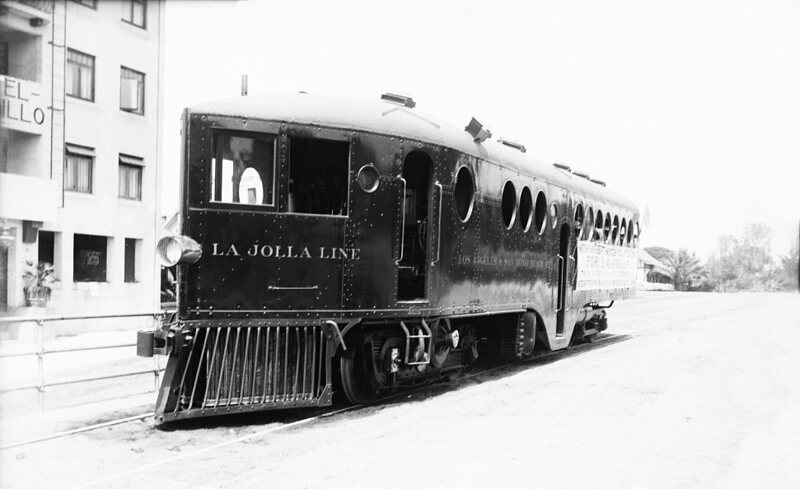 This is a postcard of one of the two motor cars on the L.A.S.D.&B.Rwy., here it is in front of the La Jolla Freight house and the La Jolla Depot. The new McKeen Motor Car Postcard series, including postcards of colorized photos & real photographs. 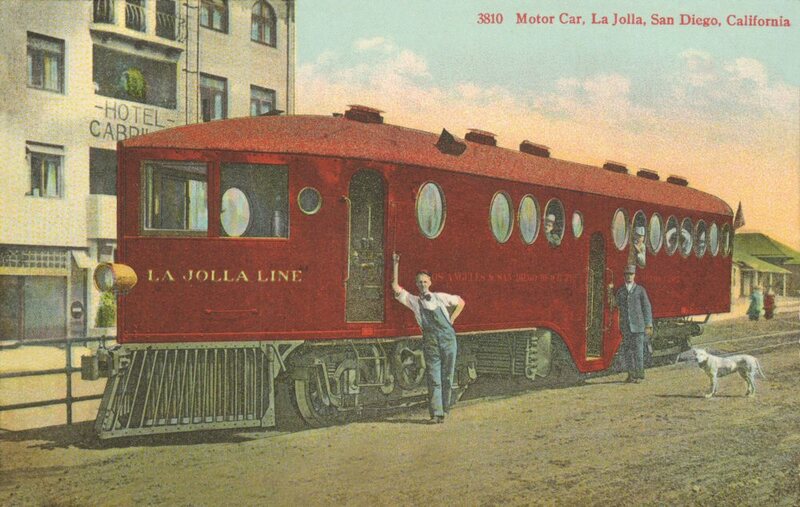 The brand new series starts with this postcard of the Los Angeles & San Diego Beach Railway motor car at La Jolla, Cal. They can be purchased for one dollar each plus shipping HERE.